Open Source Commerce (osCommerce) is a solution for online store software and alternative to Magento. It is indeed a complete software, easily installed and configured through a web-based installation procedure. It can be used on any web server with PHP and MySQL as the basic software. 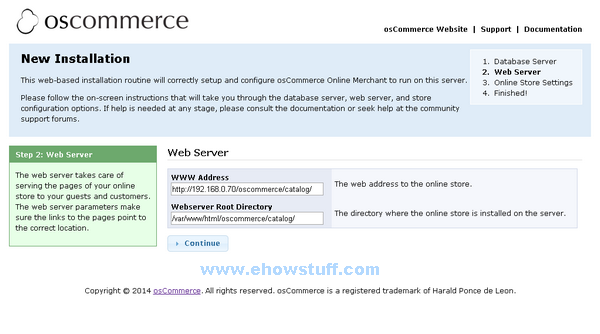 In this article, I will show you how to install osCommerce on CentOS 7.1 virtual private server (VPS). 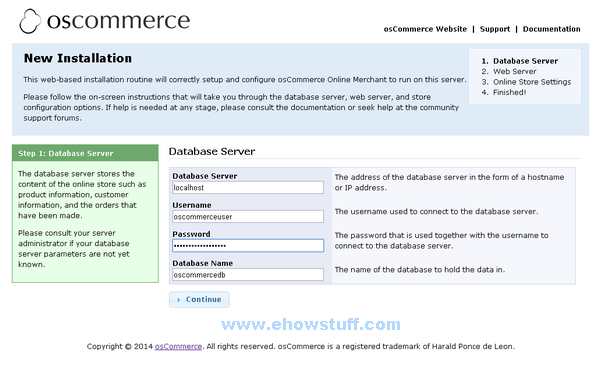 Before we proceed with step osCommerce installation, this tutorial assumes CentOS 7.1 server has been installed and LAMP or LEMP software also has been setup. The steps maybe similar to RHEL 7.1 and Oracle Linux 7.
c. You will notice that there is a message “The database structure is now being imported. Please be patient during this procedure.”. Just wait untill it proceed to next page below. Click continue to proceed. 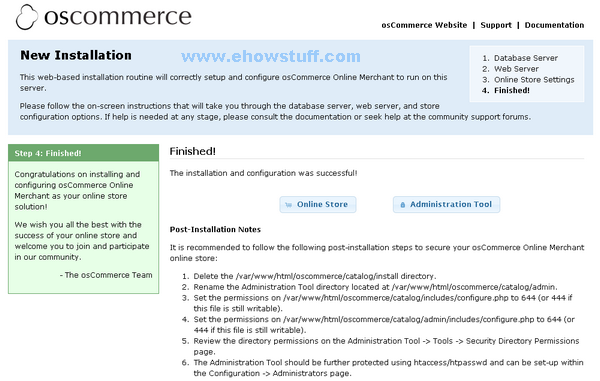 e. If you see this page, you already have a working osCommerce installed in CentOS 7.0. I hope this article gives you some ideas and essential guidance on how to install osCommerce on linux / CentOS 7.1 / RHEL 7.1 / Oracle Linux 7. Virtualmin is an advanced web hosting control panel that is very flexible and powerful for Linux and UNIX systems. 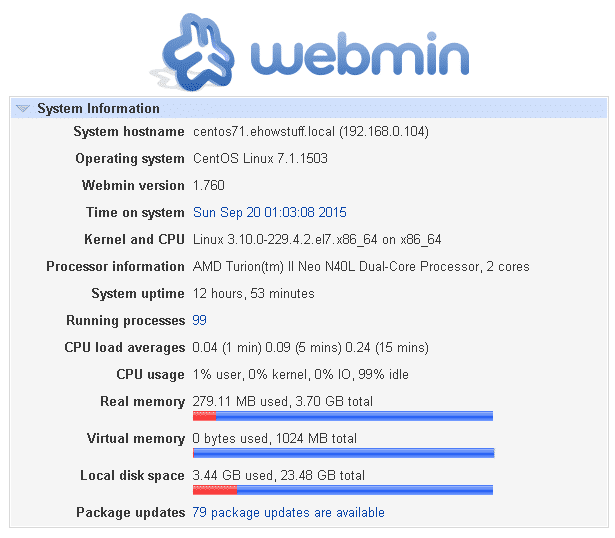 It is based on the well-known Open Source web-based system management, Webmin. It is a Webmin module for managing multiple virtual hosts, multiple virtual domains, mailboxes, databases, applications, and the entire server, from one comprehensive and single friendly web interface. Virtualmin is an excellent alternative to cPanel and Plesk, with the same administrative structure based on user root, resellers, and customers. Virtualmin supports the account creation and management of Apache virtual hosts, BIND DNS domains, MySQL database. VirtualMin also provides functions for non-root users to manage their hosting account. 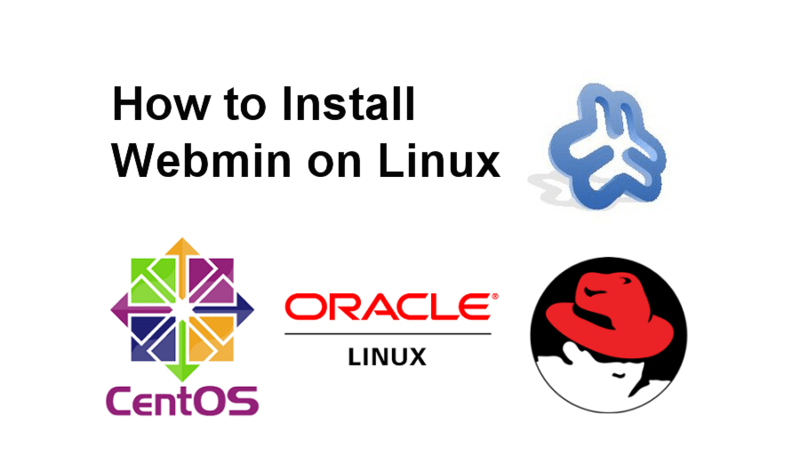 In this article, i will show the steps to install Virtualmin on CentOS 7 / RHEL 7 / Oracle Linux 7. Steps maybe similar to older version of linux distribution. Virtualmin Pro is a the commercial version of Virtualmin. 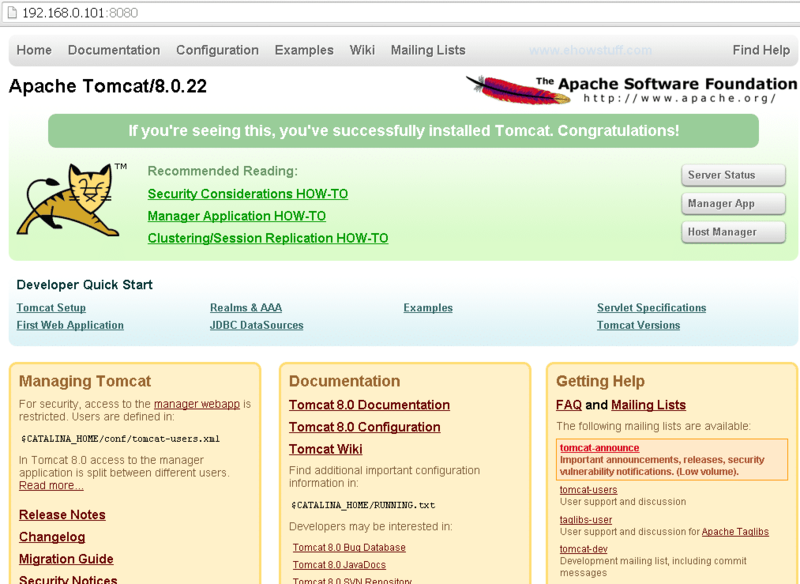 You have setup minimal installation for CentOS 7 / RHEL 7 / Oracle Linux 7. You are running with root access. If you are running as a normal user, you must have privileged access (sudo). 1. It is recommended to install Virtualmin on the fresh server to avoid conflict when you start the installation. You need to update the system to ensure that we have all the latest software installed. INFO - Download of http://software.virtualmin.com/gpl/rhel/7.1.1503/x86_64/virtualmin-release-latest.noarch.rpm Succeeded. a) Once you login you will be prompted with a Post Setup Wizard. Click Next. b) You will be prompted if you would like to pre-load certain libraries. Click Yes and then Next. c) You will be prompted if you would like to run ClamAV virus scanner on your server. It is suggested that you select Yes and click Next. d) You will be prompted if you would like to run the SpamAssassin e-mail spam scanner. If you are not running e-mail services it is not necessary to run this. However if you are hosting e-mail it is highly advised. Click Yes and Next if you are going to use SpamAssassin, otherwise click Next. e) Next you will be prompted if you would like to run MySQL and/or PostgreSQL servers. This is entirely up to you as to which database servers you will provide to your customers (if any). Select your options and click Next. You will be prompted on the following screens for password information. f) Once finished, you will be presented with an ‘All Done’ page. Click Next. g) Once the main page loads you will need to reload your configuration. Click the Re-check and refresh configuration button in the yellow box. 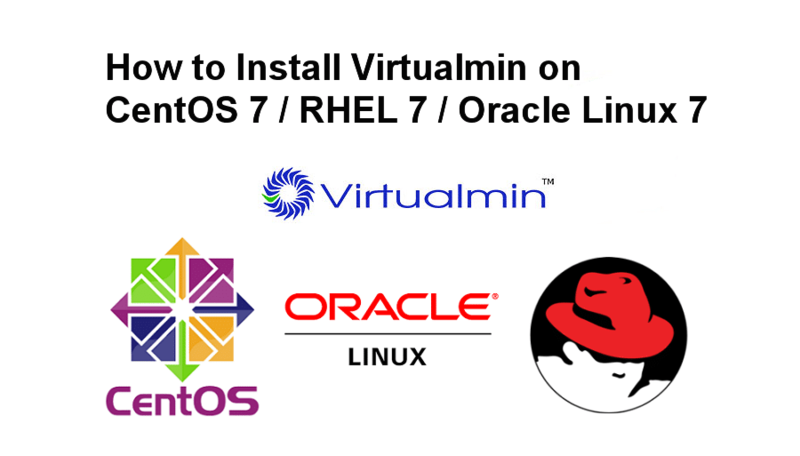 I hope this article gives you some ideas and essential guidance on how to install Virtualmin on CentOS 7 / RHEL 7 / Oracle Linux 7. Linux kernel includes powerful network filtering subsystem called Netfilter. It allows kernel modules to inspect each packet crossing the linux system such as to allow or drop incoming and outgoing network packet. In older Red Hat Enterprise Linux (RHEL) release such as RHEL 5 and RHEL 6, iptables was the main method of interacting with the kernel netfilter subsystem. The firewall capabilities were provided by the iptables utility, and configured either at the command line or through the graphical configuration tool, system-config-firewall. In RHEL 7, firewalld has been introduced as a new method of interacting with netfilter. It is a default method for managing host-level firewalls. Basically the firewall capabilities are still provided by iptables. But linux administrators now interact with iptables through the dynamic firewall daemon, firewalld, and its configuration tools: firewall-config, firewall-cmd, and firewall-applet, which is not included in the default installation of Red Hat Enterprise Linux 7. Traffic management becomes easier after firewalld classifies all network traffic into a specific zone. Based on criteria such as source IP address of packets through the network, traffic was diverted into the firewall rules for approriate zone. There are three main ways for system administrators to interact with firewalld. 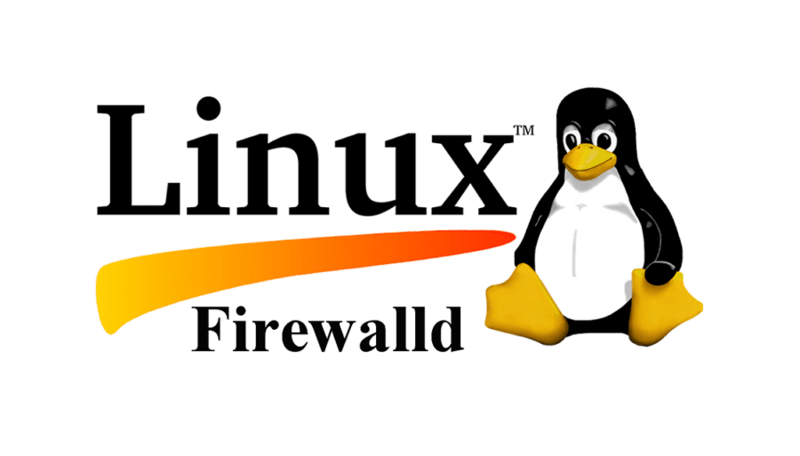 This article will discuss how to configure firewalld in linux CentoS 7, RHEL 7 and Oracle linux 7 by using firewalld-cmd command line. Please take note that the firewalld daemon is installed from the firewalld package. It is part of a base install, but not part of a minimal installation. Firewalld package is installed by default in RHEL 7.1 and CentOS 7.1. If you noticed it is not installed, you can install it using the following YUM command. Sep 09 21:26:25 centos71.ehowstuff.local systemd: Started firewalld - dynamic firewall daemon. 4. How to query the current default zone ? In this case, the default zone is public. 5. How to list all available zones ? This will display all available zones. I hope that this gives you some ideas and essential guidance on how to configure firewalld in linux RHEL 7 / CentOS 7. In this article, I will show you how to import and export MySQL database command line in Linux. In this case, export is to backup while import is to restore. The syntax are very simple and easy to understand and suitable for all levels of users including beginners. This MySQL command line is useful for those who want to migrate their WordPress blog from shared hosting to virtual private server (VPS) hosting or from current VPS hosting to new VPS hosting. This MySQL Database Import and Export command has been tested on CentOS 6 and CentOS 7 and Oracle Linux either on MySQL or MariaDB database. I hope this article gives you some ideas and essential guidance on how to import and export MySQL database command line in Linux.